This card reflects Martin Luther's seal. The back of the card explains why he designed as he did, and what each aspect of the seal represents. 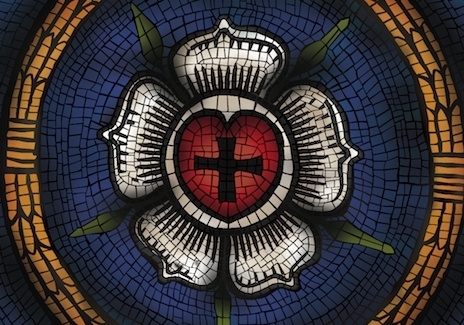 Includes: Original design exclusive to Ad Crucem. Cross-focused, Christ-centered scriptures that confess the one true faith. 5"x7" card printed on premium paper stock milled in upstate New York. Printed in Denver, Colorado at a G7 & Green Certified facility. Each card is protected with a plastic sleeve and includes: bookmark, gift tag, and envelope. Conceived, designed, sourced and printed in the USA.